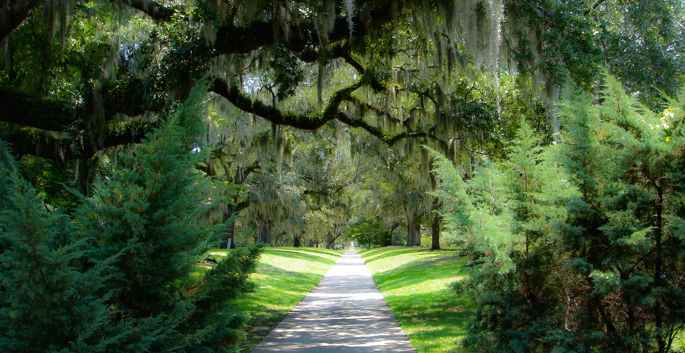 An original colony, South Carolina has a long and storied history. A state with an average size and population, South Carolina has become a travel hot spot due to its location, weather and people. Within one day driving distance of a large portion of the Northeast United States, South Carolina is known for its large beaches, family friendly atmosphere and affordable accommodations. Here at My Carolina Lifestyle, we have a few transplants who now call South Carolina home – but much of the states population is not native to the state. South Carolina has many areas that vacationers love – we’ve highlighted some of our favorites below. The oldest city in South Carolina, Charleston is known for its historical buildings, dining, attractions and Charleston natives. The city is known for hosting concerts, weekly events and other attention grabbing fun things to do. While not usually traveled to for the beach, Charleston does border Folly Beach, a locals favorite spot for catching a few fish and relaxing. Charleston is a great place to kick back and enjoy the history of South Carolina – with tons of museums, horse and carriage rides and walking tours, it’s a fun place for historical buffs to visit. 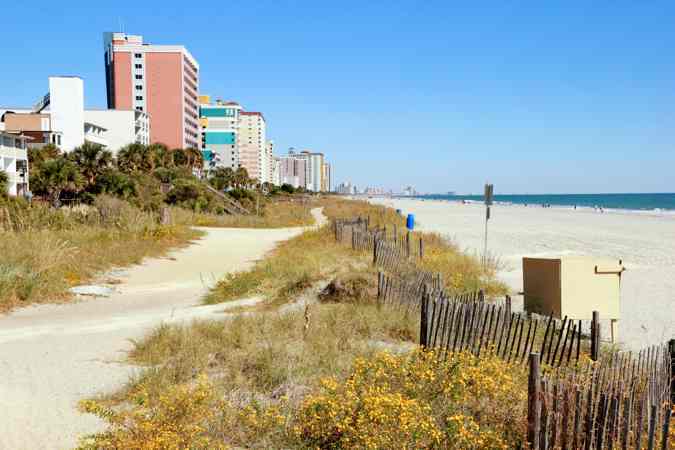 The most popular vacation destination in the entire Carolina coastline, Myrtle Beach is known for its family-friendly atmosphere, laid back people and tons of attractions. 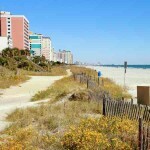 With over 50 miles of beaches along the Grand Strand, it offers something for everyone. From golf courses, hundreds of restaurants, tourist attractions, beach access, live entertainment, nightlife and more, Myrtle Beach is the place to go if you want it all. You can’t possibly take in everything that Myrtle Beach has to offer in just a week – that’s why so many people come back year after year. With a booming interest and tourist economy, the locals know, love and welcome visitors and guests. It’s the place for everyone to enjoy a getaway. A bit further down the coast, Hilton Head offers something unique to the travel destination list. With a small footprint than Myrtle Beach, it doesn’t offer all of the bright lights and nightlife, but replaces it with family-friendly things to do and a subtle homage to classic Carolina city planning. You won’t find large neon lights and buildings here – just subdued signs and low hanging trees over the streets. Featured in dozens of publications for a top destination to travel, Hilton Head is simply exemplary. Crabbing, fishing, boating and relaxation are the keys to fitting in at Pawleys Island. Much closer to Myrtle Beach, Pawleys Island offers a more laid back experience where you can sit back and enjoy the calm and peaceful low country lifestyle. A favorite for those looking to getaway from the lights and nightlife of Myrtle Beach and prefer a more authentic vacation – Pawleys Island is the perfect spot to stay for a while. North Carolina is a true gem of the US. With sandy beaches, bustling metros like Charlotte, Wilmington and Raleigh, North Carolina offers it all. You’ll find amazing places to vacation in North Carolina – from multi-million dollar beach homes to small condos, there is something for everyone. From the coastline to the mountains, North Carolina offers a lot for everyone. A large expanse, the Outer Banks is perhaps the most popular vacation destination in North Carolina. Featuring towns like Corolla, Duck, Southern Shores, Kitty Hawk, Kill Devil Hills and Nags Head – the Outer Banks is truly an amazing place to vacation. Large expansive beach homes set the stage for your next getaway. The people are nice – the food is great and the beaches are fun too! Just 30 minutes north of Myrtle Beach, Ocean Isle Beach is true gem. Situated on an island just over the bridge, you’re transformed into a relaxing beach environment where local shops are the norm. Ocean Isle Beach is the place to vacation if you are looking for an affordable getaway on a small, secluded island where you can kick back and enjoy the simple things. Just south, Sunset Beach is the cousin of Ocean Isle Beach. Featuring a smaller population, Sunset Beach is made for relaxing and enjoying it all. A bit more north lays Holden Beach, North Carolina. Truly secluded, Holden Beach is perfect for the visitor that wants to get away from it all – the beach is mostly homes with only a small commercial area. With a small population, you’ll probably meet and enjoy spending time with locals in Holden Beach and relaxing on the more private feeling beaches. The water is clean, the beaches are clean and the people are friendly.